Shopping for Star Wars Games? The classic Hands Down is back, with a twist from The Force Awakens! 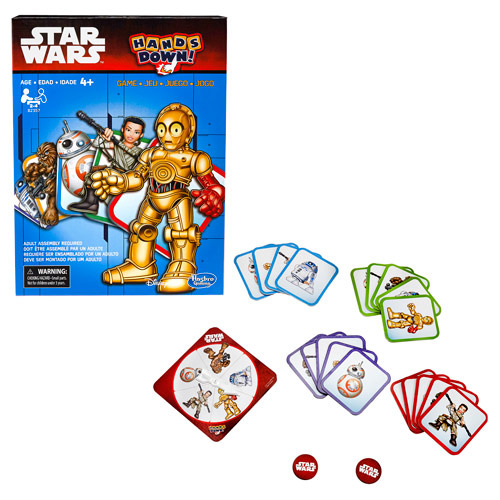 Your favorite Star Wars characters bring Star Wars The Force Awakens Hands Down Game to life, and it's a ton of fun for 2+ players. Ages 4 and up.